Anyone interested in learning more about robots or robotics may be interested in a new educational robot created by the team at Mr. Robotics, based in Lille, France. Robby the robot has been designed to “empower curiosity” and robotics with an innovative and powerful robot kit which has this week been launched by Kickstarter, to raise the required €20,000 needed to take the design into production. Watch the demonstration video below to learn more about the Robby Robot kit and its features. The Robby Robot is available to back via Kickstarter with pledges starting from €169 for early bird backers providing a starter kit with everything you need to get up and running and begin programming your robot. If all goes well, worldwide shipping is expected to take place during August 2018. The robot kit is fully programmable and allows you to add your own modules and sensors as well as choose your own architecture providing an open source scalable system complete with plug and play sensors. 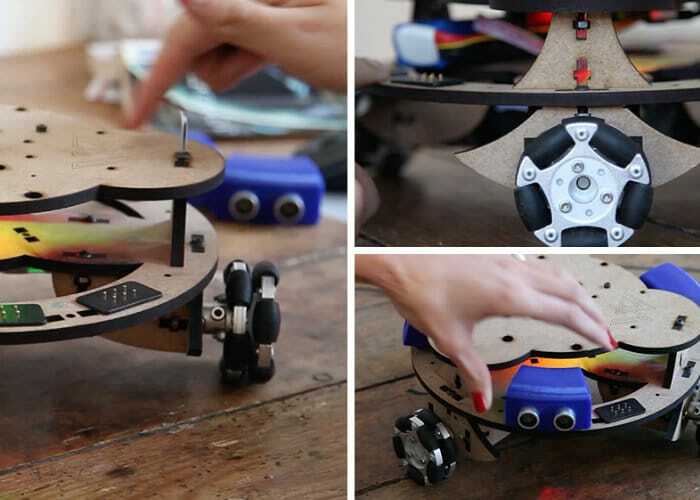 The robot kit is ideal for educational applications as well as keen hobbyists and makers. Whether you are a beginner or advanced maker looking to create your first robot the open source library of components will simplify the process and also offers a wide variety of functionality, which can be tweaked to suit custom applications if required. For more information jump over to the official Robby Robot Kickstarter crowdfunding campaign page by following the link below.